If you’re looking for a company car, it needs to be impressive. You are looking for a Vehicle that conveys both success and style. It wouldn’t hurt if it looked modern yet classy either. The car you choose to drive when you’re a business man or woman is important. Believe it or not, it could help you close a deal. In business, clients and investors constantly judge people on their looks and appearance. You have to make the best first impression possible. One way you can do this is by pulling up in the right vehicle. But we’re not crazy. We know not everyone can afford the latest BMW or the new supercar. Does that mean that you have to be a step back when trying to impress clients? Of course not! We’re going to show you what we mean in this top list of the best company cars for closing the deal. On here, you’ll find options to meet every budget. Whether you have an obscene amount of money to spend on your next car or you’re living on a tight income. We guarantee you’ll love one of these options. So, let’s take a trip to the tracks and see which is the first one to come around the bend. After all, what’s the point in starting in the realistic when you can set foot in the ridiculous? We’ve had our hands on this particular beast and we can tell you it’s one fine machine. The car is an hybrid electric car with a backup petrol engine in case you run out of power. Due to this, it’s going to save you a lot of fuel out on the road. If you’re constantly taking long distance trips across the country, this could be the perfect choice for you. It handles well on the road and is as close to an electric powered supercar as you can get. The engine purrs like a tamed tiger but make no mistake; there’s a lot of power behind that soft sound. It will take you from 0 to 62 in 4.4 seconds and I think we can all agree that’s an impressive feat for a hybrid. That’s the good news but we have to remember power and performance aren't everything. Your company car also has to look great. Fortunately, you’ll have no problem impressing clients in this machine. The car looks like it’s arrived straight out of a science fiction movie. It’s sleek yet curvaceous body seems to run on a track as it turns the corner on a road. It’s perhaps what you imagined you’d be driving in 2016 when you were young in the 90’s. This is every young boys dream come true. If you want to make sure clients believe you’re ahead of the curve, this is the car they need to see you in. So what are the downsides? Well for starters you won’t find much space inside. Not that this is particularly surprising due to how much cool tech they’ve squeezed into the interior. You’ll have enough for one other person to fit comfortably. But this isn’t the vehicle you should be using for the morning carpool. Then there’s the price. This car, even second hand could cost you as much as one hundred and fifty thousand. It’s a buyers market and business is good. So, if you had some insane profit margins in your business last year, you might want to treat yourself. If not then, let’s move on. Oh lord won’t you buy me a Mercedes-Benz? Well, he might not but you can certainly buy one yourself! The best part is that the C-Class is available from Hilton Garage at just under twelve thousand second hand. That’s a steal of a price for such a fine machine. You might be wondering why we’ve picked this car as your new company model. Well first, let us answer the question of why a Mercedes. 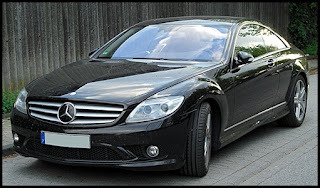 Mercedes is always a brand that has conveyed success and prosperity. It’s one of the dream brands. If you’re driving around in a Mercedes, whether it’s the people carrier or the supercar, you know you’ve made it. Let’s face it, you’ll be paying a lot just for that badge on the front of the vehicle. But that badge is crucial because it’s recognised worldwide. If you’re driving a car that has a rock song named after it, you know you’ve made the right decision. There’s no song named after BMW or Porsche. The fact is there’s nothing quite like driving a Mercedes. 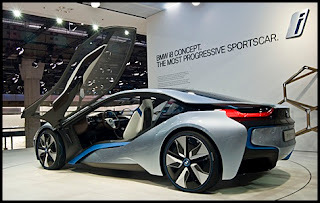 Are all the models as fuel efficient as the I8? Of course not but that doesn’t mean that you won’t love the feel of driving one around town. Or out into the country on a long commute. The next question is, why the C-Class? Lately, cars have been designed to have the badges integrated into the bodywork rather than standing out. But there’s something about the Mercedes badge standing up on the bonnet that just looks stunning. As long as you know you can keep the car safe it’s worth buying. The C-Class also has the classic look of a Mercedes. It’s what you think about when you dream of buying one. The long, slick bodywork. The ostentatious interior with leather seats and a polished gear stick. It is all perfect and it runs beautifully. You are going to love the looks you get, not just from clients. But from everyone who sees you driving this stunning machine. The C class also has a lot of space in the back and four people can fit in with a lot of legroom. You might be dropping your children off before work in the morning. Or, chauffeuring important clients from the airport to the office. Either way, the C-Class Mercedes is the ideal option. We think you’ll be tremendously pleased with this choice. Or, perhaps you’d rather a pick a car with a little more power underneath the hood. A car that looks and feels impressive when you drive it, due to the sheer size of the monster. One of the most reliable machines currently in production that will never leave you broken down at an inopportune moment. A car that combines the supercar with an SUV and somehow...works. 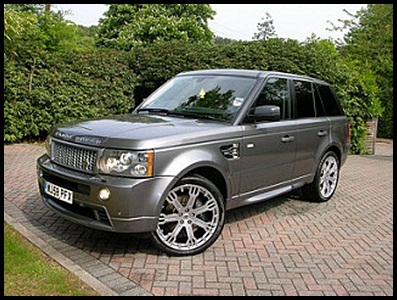 We are of course talking about the Range Rover Sport and what a choice this is for your next company car. Let’s take a look at some of the specs. It will go from zero to sixty-two in 6.8 seconds. We’d expect that type of speed from the I8 but not from a vehicle of this size. At that point, you’ve essentially got a supercar that’s almost the size of a Ford van! You’ll never be late for a business meeting; that’s for sure. You won’t have to worry about fuel efficiency either. Thanks to a slim and light body, the Range Rover Sport is quite green. Although surely the best thing about the range rover sport is that you’ll be able to go off the road. We’re not sure what you do in your time out of the office. But if you live out in the country and love the outdoors it’s time to experience it in all its glory. Travel across green hills and muddy dirt paths as you cruise in comfort and luxury across the landscape. Don’t worry about damaging the vehicle. This is a car built for a rumble in the jungle. Or, more likely, a small pot hole in a forest. Aesthetically, the car is also undeniably pleasing. As we said, the crossover of a sports car and an SUV shouldn’t work, yet the results speak for themself. It’s a beautiful car with a stylish chassi and curved body. It looks far better than it’s boxed brother and that’s why it’s such a popular choice. The negatives? Well, the car is quite expensive to buy, costing roughly sixty-two thousand. This is perhaps the perfect vehicle for the manager of a successful company. It’s also quite expensive to keep on the road. Both taxation and insurance will squeeze quite a lot out of your income. But we think the car is worth the cost and we’re sure you’ll agree once you get it out on the road. Don’t forget that if you are thinking about a car for driving clients around in, they couldn’t do much better than this. Put it this way, if you were trapped in a snowstorm, this is the car you’d want to be stuck in. You could turn the heating up and relax in the front seat. Or take a snooze in the back. The car is just built for comfort. That’s true whether you’re racing up a grass verge or cruising down the motorway. We promise it will feel no different. Does any of these company cars take your fancy? Or do you have something entirely different in mind? Either way, we hope we’ve peaked your interest when choosing your next business vehicle.